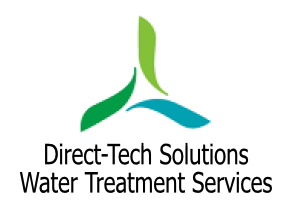 Direct-Tech Solutions supply, install and service a wide range of commercial water softeners. Our commercial water softeners are available in sizes and configurations to meet all commercial and industrial applications. These include the Duplex water softener for sites with high water turnover and require softened water 24/7 or the Simplex water softener when the volume of treated water is only required over the course of the working day, this allows the softener to regenerate during the period when high volumes of treated water are not required. Hard water contains calcium and magnesium ions. These “hardness ions” can cause a variety of undesired effects including the build-up of limescale, which can foul plumbing. Water softeners remove those ions by exchanging them for sodium or potassium ions. A water softener can increase the efficiency of your water system by reducing the limescale that builds up especially in pipe work, calorifiers and boilers.